CULTURE SHOCK TOOLBOX: Expats and TCKs, humility is your best cross-cultural tool—and don’t forget to pack that golden triad! Born in small-town Massachusetts, Marilyn moved to Pakistan when she was three months old. She returned to the United States for college, became a nurse, and then tried to go “home” to Pakistan, only to be deported back to the U.S. after three months. She resumed her travels with marriage, producing five children on three continents and raising them in Pakistan and Egypt. When she and her husband finally repatriated, they arrived from Cairo at Dulles Airport with five children, 26 suitcases, and an Egyptian Siamese cat. They now live in Cambridge, Massachusetts. Marilyn has a passion for helping under-served communities, including refugees and immigrants, with their health care needs. She started her blog in 2011 after returning from a trip to Pakistan where she worked as a nurse with internally displaced people. She also works with refugees in the Middle East, especially Iraq and Turkey. Marilyn often speaks to groups and organizations on topics related to cultural competency, including culture and health care, faith and identity, and adult third culture kids. Welcome, Marilyn, to Culture Shock Toolbox. Can you tell us which countries you’ve lived in and for how long? Pakistan, 20 years; Egypt, 7 years; United States, 28 years; and I have visited over 30 countries. In the context of cultural transitions, did you ever put your foot in your mouth? I have lots of memorable stories—some more embarrassing than others, all funny for various reasons. As a child, I wasn’t always aware of the cultural mistakes—but my mom was! At one point when I was three years old we had been invited to a feast in the town where we lived. The women were in one room and the men in another. We sat on the floor and we ate with our hands. Evidently, the minute the food arrived, I lunged toward it and grabbed the rice with both hands. The older woman in the room was none too happy—she sniffed and said loudly: “The child doesn’t know how to eat!” Every Pakistani kid knew that you eat with your right hand only! My mom was red-faced and fumbled over her words. She vowed that once we got home, she would teach us all how to eat in properly Pakistani style! Wow, I guess your mom needed a toy version of the culture shock toolbox? Did you continue making blunders as you grew up? As an adult, the rules changed and some mistakes have to do with language and others with behavior. For instance, when I first arrived in Cairo, I had trouble flagging down taxis. Then I realized that Egyptians would just yell loudly “Taks” and wave their hand wildly. So I began yelling loudly and waving my hands wildly. One day I did this while out with one of my Egyptian friends and she was horrified! “Why are you shouting?” she said. I realized I’d been observing male behavior, not female. A woman stands calmly and daintily waves down a taxi; only the men are so loud and aggressive. It was a good example that it’s not only about observing, it’s also about observing and imitating the right behavior. Language mistakes are also common and almost always funny. My husband, for instance, once tried to tell someone he was thinner than another man—but ended up saying he was cleaner than him. What tools do you think are most useful in scenarios like these? That’s what we expats, nomads, and Third Culture Kids all need to learn more about, continually posturing ourselves as being willing to grow and to learn. That’s a powerful image! But have there also been situations you think you’ve handled with surprising finesse? There is something about growing up overseas that puts you in a different place from the beginning, and that has stood me well. But again I would stress that there can also be an arrogance that comes from growing up overseas, as in “I know better than you do because I’ve lived this longer”—which can be totally false. We only know what we know, and we can’t possibly have experienced every aspect of a culture, which is why we always need that toolbox. What I think is different from the adult expat is that we Third Culture Kids have been shaped, not just influenced, by cultures other than our own. That distinction is really important. When you’re shaped, it’s like a potter shaping clay. You are molded by different cultural viewpoints, which makes it much harder to be ethnocentric and think your way is best. You tend to see all sides. That in itself has its own issues, the “chameleon effect” I call it—but we won’t go there today! If you had to give advice to new expats, which tools in their culture shock toolbox would they use most often and why? I have two. The first I’ve already mentioned: cultural humility. It is so easy to go as an “expert” and think you know it all. Cultural humility puts you in the place of a servant, a learner. You listen more, talk less, and observe everything. You ask questions not from a place of frustration but from a place of curiosity. In addition, I’d encourage new expats to develop what I call the “golden triad”—empathy, curiosity, and respect. All three are needed in equal measure and when even one of those is missing, we miss something in our experience. I like the idea of the golden triad: that’s a great tool to add to the toolbox! Moving on to reverse culture shock: I’m not sure that we Third Culture Kids experience it in the same way as others, but can you comment on your reverse culture shock experiences as well? You are right, reverse culture shock is a misnomer for us TCKs. We don’t have reverse culture shock when we go to our passport countries—we have plain old culture shock. Reverse culture shock assumes a level of adjustment to our passport countries most of us have never attained. Once we are adults, and we (some of us) have lived longer in our passport countries, then we might feel a reverse culture shock. What “reverse” culture shock experiences stand out for you the most? For culture shock in my home country, one of the things that stands out for me is the cost of medications. I left a pharmacy in the middle of a transaction because I was given a bill for over s hundred dollars. I said with all the outrage I could muster “What? This medicine would be $3.00 in the place where I’m from!” To which the pharmacist looked bored and gave me a look that said “Well, obviously you’re not there so just pay up.” I left and said: “This is ridiculous!” I write about other examples in my book, such as paralysis in the cereal aisle and learning to speak “coffee”—I just couldn’t get the drink I wanted! There were so many choices and strange words. Expectations for who I was and how I would respond from dentist offices to work places also come to mind. Too many experiences to count! What are the best tools for dealing with (reverse) culture shock? As I noted, my passport country was foreign in almost every way but language, so when I finally decided to treat it as foreign, I did much better. Not well mind you—but at least better! I watched and observed the rules, tried to follow the unwritten expectations. I cried a lot. I tried to find my happy places through coffee shops. I decorated my house with all the items I loved from the worlds where I had lived. I made friends with “locals.” I learned how to honor the goodbyes and to grieve even as I moved forward in the new. All of that helped in my adjustment. But what helped the most I think is giving myself time—it’s a process, and the longer we’ve been overseas, the longer the process of adjustment to our passport countries. Lastly, I’d like to note that staying in one place for a while doesn’t mean you grow stagnant. In the past I always equated stability with stagnancy, but that is simply not true. So slowly I have learned how to grow while staying in the same place. Thank you so much, Marilyn, for sharing your stories with us. I love what you said about cultural humility. I think you’re right, once we start a life of living and communicating across cultures, there will always be a need for carrying a culture shock toolbox, and we should never forget that! So, Displaced Nationers, do you have any stories to share that show a lack of cultural humility, and could you have used Marilyn’s customized toolbox at that moment? If you like her prescriptions, be sure to check out her blog posts. You can also follow her on Facebook and Twitter. And if you’re interested in health care, you should check out the video series she has created with a film maker here and here. REVERSE CULTURE SHOCK TOOLBOX: To cope with the transition back to your native land, consider vlogging! Photo credits: First visual (collage): Photos of Cairo and Pakistan from Pixabay; culture shock toolbox branding; and photo of Marilyn Gardner, her book cover and her blog banner (supplied). Second visual: Set Tools – Toys, by Suzette via Flickr (CC BY 2.0). Third visual: Photo of woman kneeling from Pixabay.Fourth visual: Celtic triad vector graphic from Pixabay. Last visual/collage: (top left) Breakfast Cereal Aisle, by Mike Mozart via Flickr (CC BY 2.0); (top right) Specialty Drinks – menu seen at Jack’s Java in Paris, Tennessee, by Kathleen Tyler Conklin via Flickr (CC BY 2.0); and pharmacy cabinet photo via Pixabay. JJ Marsh hands over the Location Locution reins to Lorraine Mace, who will start next month. JJ Marsh first graced the shores of the Displaced Nation two years ago. Growing up a Third Culture Kid in Africa and the Middle East, and now an expat in Switzerland, she was an immediate fit. For two years we have benefited from her love of language and place, and now, as she takes her leave from this column (though not from the Displaced Nation), she does something that makes us love her even more: hand picks a successor and offers a chance to win a set of SEVEN books from Triskele, the acclaimed writers’ collective she helped to found. Thank you, JJ! Two years after joining Displaced Nation with the Location, Locution column, it’s time for me to say goodbye. It’s been a terrific experience and I’ve learnt so much from my interviewees, not to mention discovering wonderful books and unexplored places. Heartfelt thanks to ML Awanohara and the Displaced Nation team for taking a risk on me. I’m going to hand over to a fresh face, with her own unique flair. 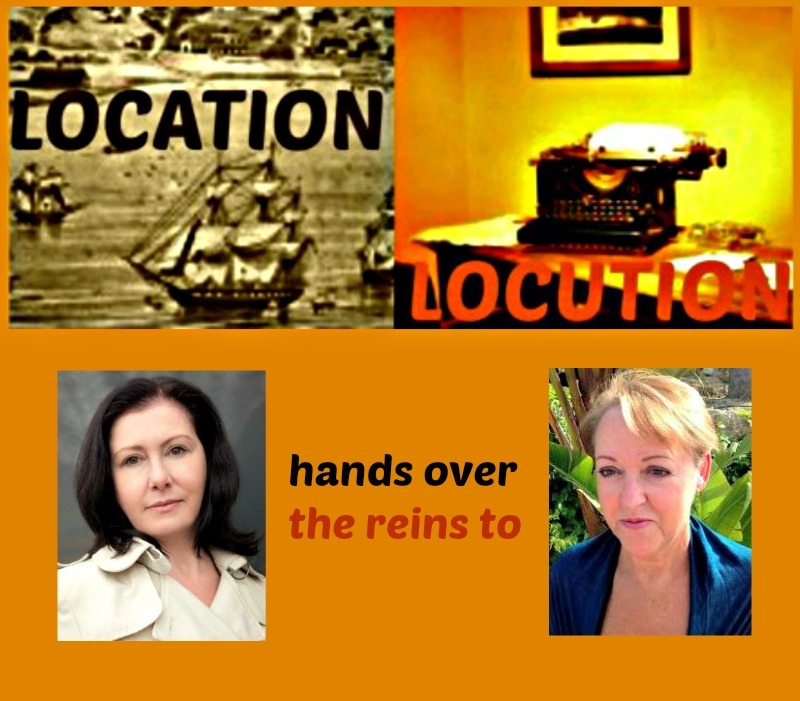 From June, Location, Locution will be in the expert hands of inveterate creative and nomad, Lorraine Mace. I asked Lorraine to introduce herself to you next month by providing her own answers to the Location, Locution questions. Finally, I’d like to leave you with a goodbye present. 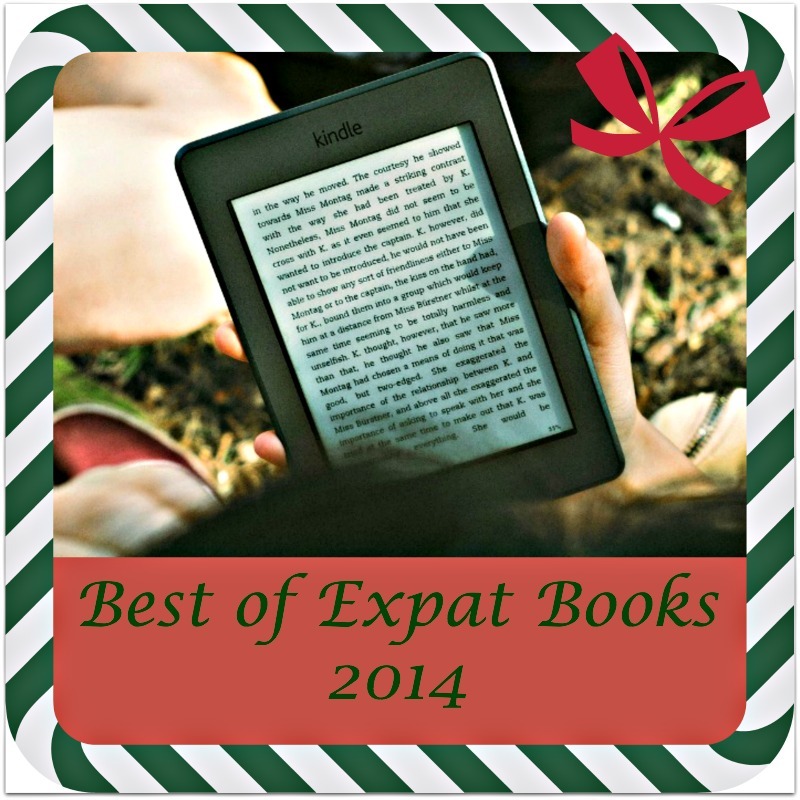 As international creatives, I know you enjoy exploring books that make a feature of place. 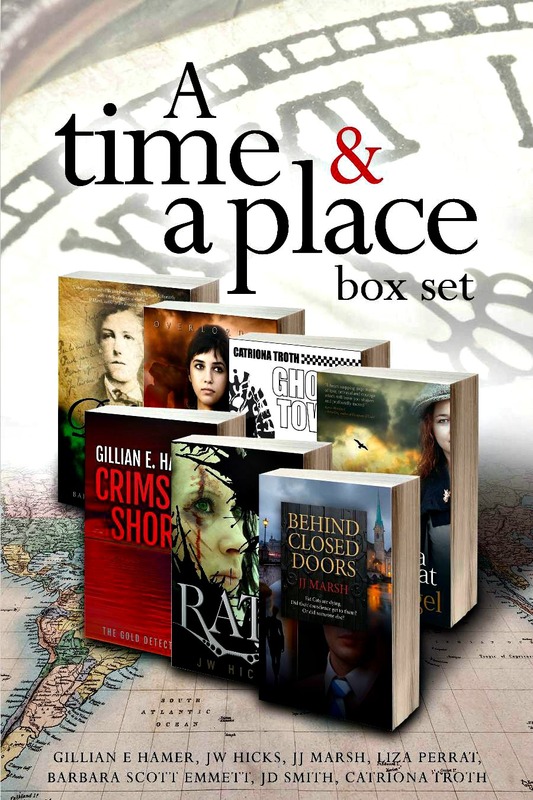 My colleagues and I at Triskele Books have created a box set of books to transport you across time and place, from 3rd century Syria to futuristic Wales. A Time & A Place contains seven award-winning novels that have in common the theme of this column: location, locution. And as my farewell gift to Displaced Nation readers, I have one free copy (ebook only) to give away. You can win by adding a comment in the box below. In no more than 50 words, where and when in the world would you like to go, and why? The winner will be announced in next month’s Location, Locution. Where would you like to be taken? JJ Marsh and her fellow Triskelites. Can’t wait to get the set? It’s available for a limited period at the special offer price of $9.99/£7.99. Don’t miss this box of delights. Who knows what you’ll discover? In no more than 50 words, where and when in the world would you like to go, and why? Goodbye, thank you for reading the column and I wish you all excellent journeys. JJ Marsh grew up in Wales, Africa and the Middle East, where her curiosity for culture took root and triggered an urge to write. After living in Hong Kong, Nigeria, Dubai, Portugal and France, JJ finally settled in Switzerland, where she has been writing a European crime series set in compelling locations all over the continent and featuring detective inspector Beatrice Stubbs. She recently produced the fourth book in the series: Cold Pressed, which takes place on a luxury cruise bound for Santorini. 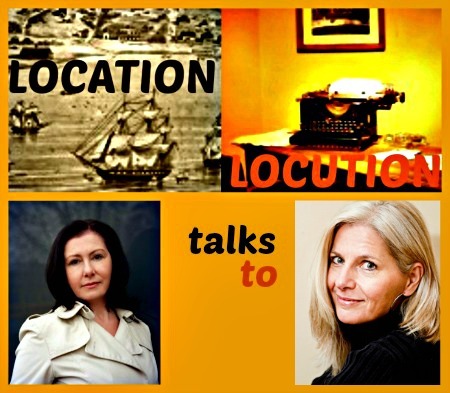 LOCATION, LOCUTION: JJ Marsh (left) talks to author Lee Strauss about the craft of setting contemporary romance novels in foreign locations. 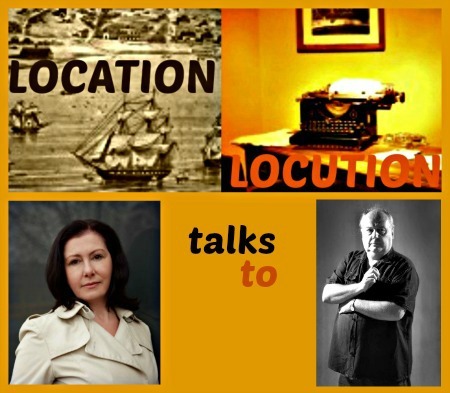 In “Location, Locution” expat crime series writer JJ Marsh chats with fellow displaced fiction writers about their methods of portraying place in their works. Her guest today is contemporary romance and speculative fiction writer Lee Strauss. Born near Chicago to Canadian parents, Lee might have grown up a California girl had it not been for Vietnam, which caused her parents to retreat back to Canada. At age 22, she married Norm Strauss, a Canadian folk rock musician—and signed up for a life of adventure. They have traveled extensively overseas and live part-time in Germany. 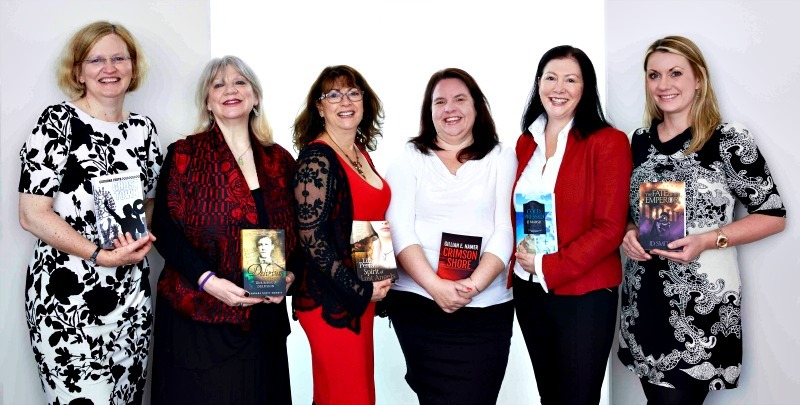 Lee Strauss is the author of the Minstrel Series, a collection of contemporary romance novels set in the singer/songwriter world, taking place in Germany and England; the Perception Series, a trilogy of young adult dystopian novels; and several works of YA historical fiction. Under the alter ego of Elle Strauss, she writes fanciful younger adult stories about time travel, mermaids and fairies. Lee is the married mother of four grown children, three boys and a girl. Because of her husband’s job as an indie folk musician, she has traveled to twelve European countries, Mexico, fourteen states, and six Canadian provinces. Currently, the couple divide its time between Kelowna, a town in British Columbia’s temperate Okanangan Valley, and Dresden, Germany. When not writing or reading Lee likes to cycle, hike and do yoga. She enjoys travel (but not jet lag :0), soy lattes, red wine and dark chocolate. Now let’s talk to Lee about how she has woven European settings into several of her books. Which came first, story or location? It was a simultaneous decision. My singer-songwriter husband and I spent some time brainstorming on how we could merge our two worlds, indie publishing collaborating with indie music artists, and the idea for the Minstrel Series was born. (Each of the books has accompanying music.) The first two books, Sun & Moon and Flesh & Bone, are song titles of music used in the books. We live part of the year in Dresden, Germany, and I just knew that the books had to be set there, right in our neighbourhood. 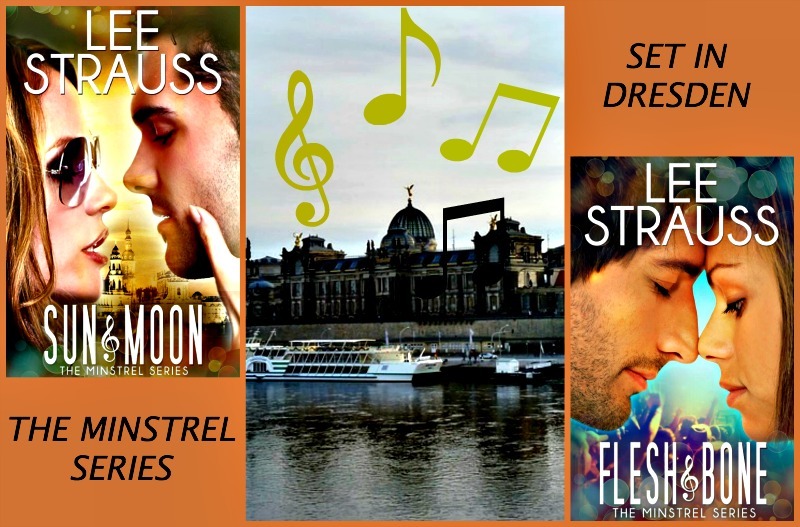 Cover art from first two books of the Minstrel Series; (middle) view of Dresden’s historical center, from the same spot where Canaletto made his famous painting. I’ve also written a WW2 historical novel called Playing with Matches, about a group of boys growing up in Hitler Youth. The story takes place in Passau and Nuremberg. Traveling to both cities made a huge difference in getting the setting and ambiance right. 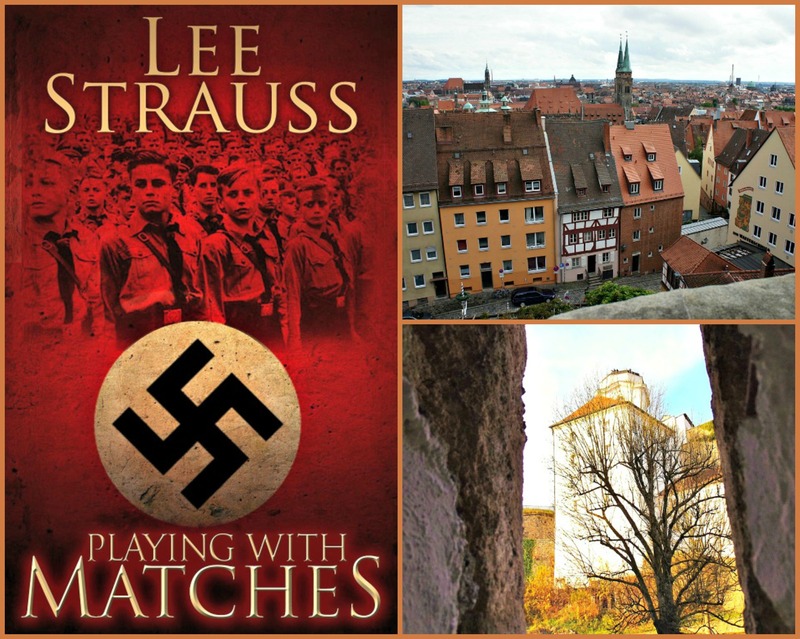 Clockwise, left to right: Cover art; Nuremberg citiscape; view of Veste Oberhaus, a 13th-century fortress in Paussau, in lower Bavaria, Germany. Nothing like living in the middle of it! The street and building in Dresden where we lived are featured in great detail in Sun & Moon and Flesh & Bone. Many readers comment on how they feel like they visited Germany while reading my books. All three. I share a lot of Dresden images on Tumblr, including not just landscape but also food and the local culture. Can you give a brief example of your work which illustrates place? Katja stood in one of the cutaways on the old stone bridge over the River Elbe that joined the Altstadt with the Neustadt, the old city with the new. She shivered despite her winter jacket and the scarf wrapped around her neck and strummed her guitar with fingerless gloves. The limestone dome of the Frauenkirche—the Church of our Lady—peaked out over the city’s ancient, baroque skyline. Like all the buildings in the historic center, it had been completely demolished during the Second World War. The entire city was rebuilt to look much like it had before it was destroyed. In essence, the old town was now the new one, and the new town the old one. It was majestic and awe-inspiring to look upon. Katja’s guitar case lay open at her feet. She’d thrown in the few cents she’d found under the sofa cushions, hoping to lure other donations. The cold wind kept people hunched over and moving at a fast pace across the bridge, most with chins tucked down and hands shoved into deep pockets. No one took the time to stop and listen, much less drop money in her case. Spending time living there is the absolute best way. There’s so much you see and learn about a place over time. The second best is to visit in person. After that, talking to people who have lived or visited there along with research and Google Earth. Maeve Binchy has a wonderful way of pulling the reader deep into Ireland. (My next book in The Minstrel Series will be set in Ireland and Boston, where I’ve lived.) Susan Grafton does the same for Southern California with her Alphabet Mystery series, set in the fictional city of Santa Teresa, based on Santa Barbara. Readers, if this interview has piqued your curiosity about Lee Strauss and her creative array of fiction works, we encourage you to visit her author site. Columnist JJ Marsh (left) talks to Carl Plummer, a writer of historical adventure fiction. We welcome JJ Marsh back to the Displaced Nation for this month’s “Location, Locution.” If you are new to the site, JJ, who is a crime series writer, chats with fellow fiction writers about their methods for portraying place in their works. Her guest today is Carl Plummer, who writes World War II adventure spoofs under the pen name of Robert E. Towsie. Born in Hull, England, he lived in Cyprus, Paris and Libya before moving to his current home of China, where he works as a university lecturer. Today he does something unusual for this column: describes the place where he’s living right now. JJ MARSH: Once in a while, Location, Locution likes to surprise you. Remember the Paulo Coelho piece on monuments that immortalise cities? If not, go read it now. Is it any surprise this man is an international bestseller? This month, I tracked down an author I’ve admired for a long time. Carl Plummer writes as Robert E. Towsie, in a classic comic style, setting his capers around Europe against the backdrop of its dramatic history. But what interested me about Carl/Robert is where this expat creative lives. China. A place I find fascinating, mysterious and sometimes a little scary. So this month’s Location, Locution is his take on China, its people and and how he sees it. Enjoy. CARL PLUMMER: In 2004, after a stint in Libya, I arrived in China and started a job at Nanyang Normal University to teach British and American literature. The city of Nanyang (pop. 1,000,000) in Henan Province was proud to boast ten lao wai, foreigners. Every minute, on every street, in every shop, I was reminded I was a foreigner. Some reminders were harsh, nationalistic and racist with the “go back where you came from” we associate with racism in England. Other reminders were through curiosity, the wish to speak English to and even touch a foreigner, the assumption all foreigners are American and a sense of me being something exotic, something new and different, and most of all—rich. I wasn’t rich, am not rich. Teachers are the poorest working travellers of the world. We are the intellectual navvies from the western world. We are not businessmen with expense accounts; we are not oil people or wheeler and dealers. But we are approachable because we have to mingle, use the buses and the metros, and the trains. We do not have company cars with around-the-clock company drivers. During the rainy season in a small coal-mining town near Pingdingshan the streets would run black when it poured and families would come out to shower beneath the torrents thundering off awnings. What made me rich to such people? I had an apartment with a shower and I could afford the water it used—I didn’t have to wait for the rain. In China, the iron rice bowl has long gone. Why am I talking about money instead of garnishing the text with tales of magnificent walls, gaudy ancient temples or food conjured up with every living creature imaginable? Well, that’s all been done before. I’m talking of money because poverty is not romantic; it never has been and it never will be. It is cruel and it doesn’t discriminate; there are no deserving and no undeserving poor. That cradle-to-the-grave surety of Communism is a generation ago, but that generation brought up in it is still around. It is my age, brought up in the 60s and 70s, taught to root out the treacherous intellectual bourgeoisie, taught to spy on parents and teachers, taught to love the state above all else. It worked in theory for a while because the state cared; it looked after your every need as long as your toed the line, as long as you never asked questions. Now it doesn’t. Now there is no line to toe. The young are asking questions. That is their hope. I meet many young people, in their 20s, who have something hanging around their necks; cultural and domestic demands, greatly exacerbated by the growth of capitalism and the cracking of the iron rice bowl. Education is expensive in China, as is being healthy. Young people have shown me lists, lists almost like invoices saying: we spent this much on your upbringing and this is what you must pay back to us. It is easy to get the sense parents have children for one reason: someone to take care of them in their old age. Babies, especially boys, are glorified little emperors, smothered and mothered—especially grandmothered—to the extreme; but once in their teens they are seen as future life-support systems. Haozhi Chen (CEO of Chinese mobile powerhouse Chukong), by Jon Jordan via Flickr; “Wedding couple in the clan house,” by shankar s. via Flickr. Both photos are licensed under Creative Commons (CC BY 2.0). 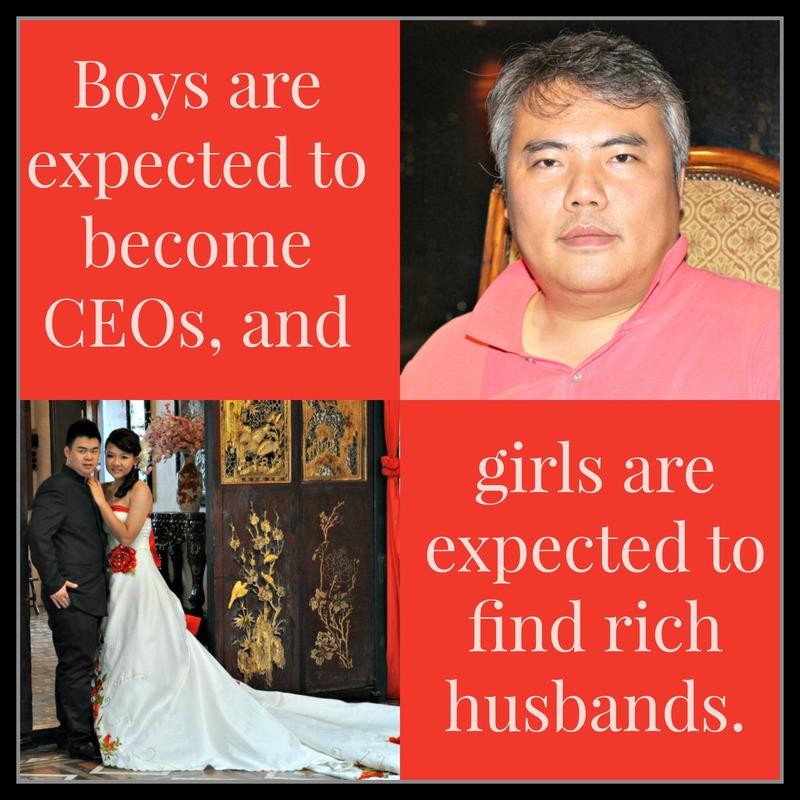 Boys are expected to become CEOs and girls are expected to find rich husbands. All are expected to become members of extended families because extended families are safer, more secure. Individualism and independence is dangerous. The average salary in China is still about 2000 yuan a month (about 200GBP) for a ten-hour-day and a six-day week. Millions of workers live in dormitories more akin to barracks, and send home half their salaries to support families back home. Young people must pay back the money they owe their parents. This is how it is for the majority of young people in China. The majority has to save because everyone has to pay. When the future is precarious you have to save. When I lived in the Bai Yun district of Guangzhou (Guangdong province, in Southern China), I used to cycle through a huge housing estate (apartments by the thousand) and cut through the grounds of Jinxi Nanfang Hospital. Those middle-class apartments sell for about 3,000,000 yuan each, rented out for between 3,000 and 4,000 a month. From the higher balconies you can see the rows of beggars in the streets around the hospital. These are not the beggars we expect—those in shop doorways with mangy dogs for company. These beggars are lying in makeshift hospital beds, out in the open, with drips hanging from stands. These beggars are families trying to get the 500 yuan a night needed for hospital treatment, or even the 100 yuan just to see a doctor. Lesson for all SL-ers, by Laurence Simon via Flickr (CC BY 2.0). 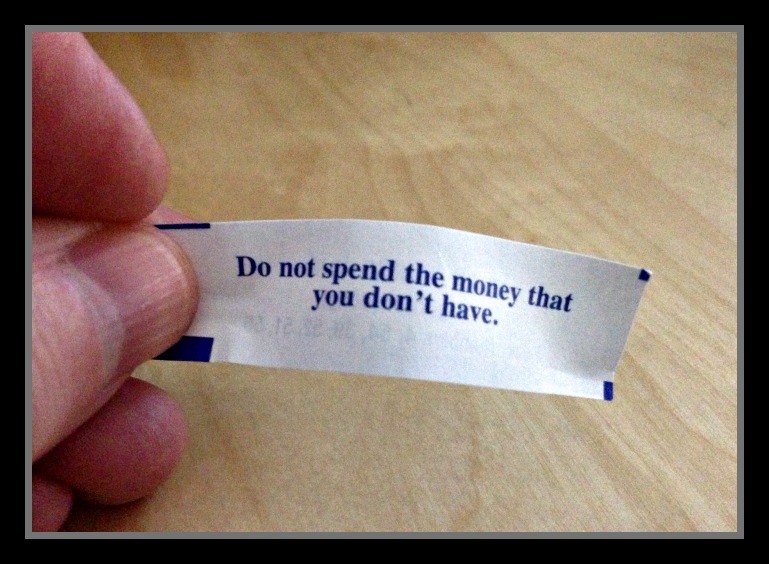 This is why so many Chinese people are savers, not spenders. And those apartments—the richer you are, the higher up you live. The higher up you are, the farther you can see across the hospital surrounds where the aged and sick lie in the shadows of a hospital they cannot afford to enter. It is a world where education and health is a luxury, not a right. The growing middle classes do not live with the fearful uncertainties of old age. They do not fear the need to see a doctor or the need to stay in hospital for a few days. They can send their children to good schools; send them to the UK, the USA or Australia to continue with their studies. They can send their children out into the world to be whatever they wish to be—something so many westerners take for granted. They do not need their offspring to look after them in old age. They can be spenders and savers. 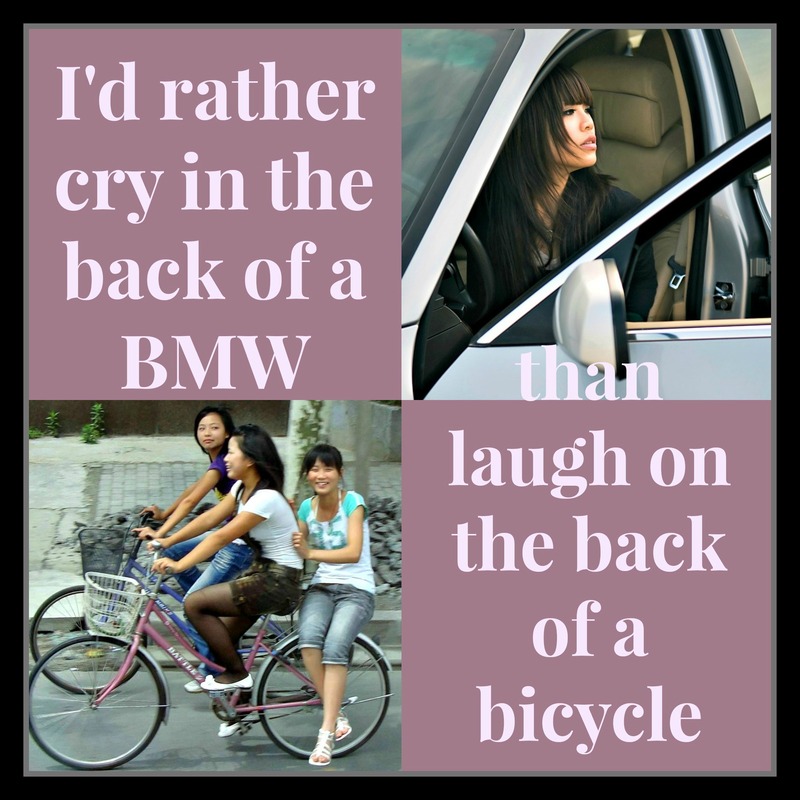 I’d rather cry in the back of a BMW than laugh on the back of a bicycle. “Cargirl,” by Xuan Zheng via Flickr (CC BY-SA 2.0); “Shanghai cyclists,” by Gwydion M. Williams via Flickr (CC BY 2.0). How about the girl who said on a TV show “I’d rather cry in the back of a BMW than laugh on the back of a bicycle”? Yes, she was condemned and ridiculed, but she does not have the luxury of choice, the luxury of hope; the safety net is not yet there for her. I believe and hope it will be for her children. Already, there are newly middle class young people who not have to choose between the BMW and the bicycle. Educated women are buying their own BMWs, their own apartments. They do not have to get married as soon as possible in order to be secure. And more importantly, their individualism and prosperity is running alongside a new sense of social justice, political justice, and an awareness of the needs of others. Religion, philosophy, or just simple humanism, whatever it is—the humanity is breaking through. Twenty years ago, capitalism was raw in China; it was Darwinian and brutal, but it is slowly coming around, perhaps in the way it eventually did so in Britain until it was scuppered by the bankers who played with money as though it was Monopoly money. We started with the Bounderby style of capitalism where Britain was the richest country in the world, populated by the poorest masses. That is where China has been, perhaps still is, but it is moving through that. Communism denuded the soul, evicted compassion and turned the people into soldier ants. Capitalism came along to lift people out of poverty, but it did not fill the spiritual vacuum—the vacuum of feeling and compassion. Christianity is becoming ever more popular in China. Confucianism is being taught again. The vacuum is being filled. The younger capitalist—who is not from the spoilt 5 percent—has a sense of social responsibility, the idea of giving back. Mr Cameron’s “long-term plan” is but a sparrow’s sneeze in Chinese terms. It’s a long process, but China has a long history and has always been about long processes. The hope is, and I am confident about it, is the young; they have enough to eat, will have roofs over their heads, but more importantly, they can afford to be more thoughtful, more caring—they can afford humanity. Breaking free from poverty allows kindness to flourish (kindness in individuals and kindness from the state) if it is not smothered by the unacceptable face of capitalism or the dehumanization of totalitarianism. I believe it will get there. But we cannot think in European terms; European terms are far too short. And remember why you can afford your cheap TV, cheap mobile phone and cheap computer; it is funded by cheap labour. There are still millions and millions with a standard of living we would find totally unacceptable; but the fear of starvation has gone and the idea of a health service free at the point of use is slowly becoming more than just a dream. For most young people, going to university is still a dream. It is changing. The young people are making it change. Readers, if this interview has piqued your curiosity about Carl Plummer and his Robert E. Towsie books, we encourage you to visit his author site. Earlier this month, I wrote a post in celebration of the Displaced Nation’s third birthday, which occurred on April 1st. For three years we’ve held up a mirror, as it were, to what we’ve been calling the displaced life, writing and commissioning posts on what motivates people to venture across borders to travel and live. 1) We aspire to be the fairest of them all. If our site stats are anything to go by, the Fountain of Youth myth is still alive and well. We may not be searching for water with restorative powers on our travels, but we never tire of reading about Jennifer Scott’s top 20 lessons she learned from Madame Chic while living in Paris, TCK Marie Jhin’s advice on Asian beauty secrets, or my post summarizing beauty tips I picked up on two small islands, England and Japan (three of our most popular posts to date). Heck, even 5 tips on how to look good when you backpack still gets plenty of hits. 2) We mostly just want to have fun. The popularity of two of Tony James’s Slater’s posts—one listing his five favorite parties around the world and other other telling the tale of his attempt to overcome language barriers in pursuit of an Ecuadorian woman—suggest that good times and love still rank high on the list of reasons why people opt for the road much less traveled. That said, some of us worry about going too far with the latter, if the enduring popularity of my post four reasons to think twice before embarking on cross-cultural marriage is anything to go by. 3) But we love hearing stories about international travelers with a higher purpose. Most of us do not venture overseas in hopes of changing the world, but we are inspired by tales of those who once did—how else to explain the golden oldie status of 7 extraordinary women with a passion to save souls? And our fascination with the international do-gooder of course continues to the present. Kate Allison’s interview with Robin Wiszowaty, who serves as Kenya Program Director for the Canadian charity Free the Children, still gets lots of hits, as does my post about Richard Branson and other global nomads who delve into global misery. Perhaps we like to bask in reflected glory?! 4) Last but not least, we think we know things other people don’t. 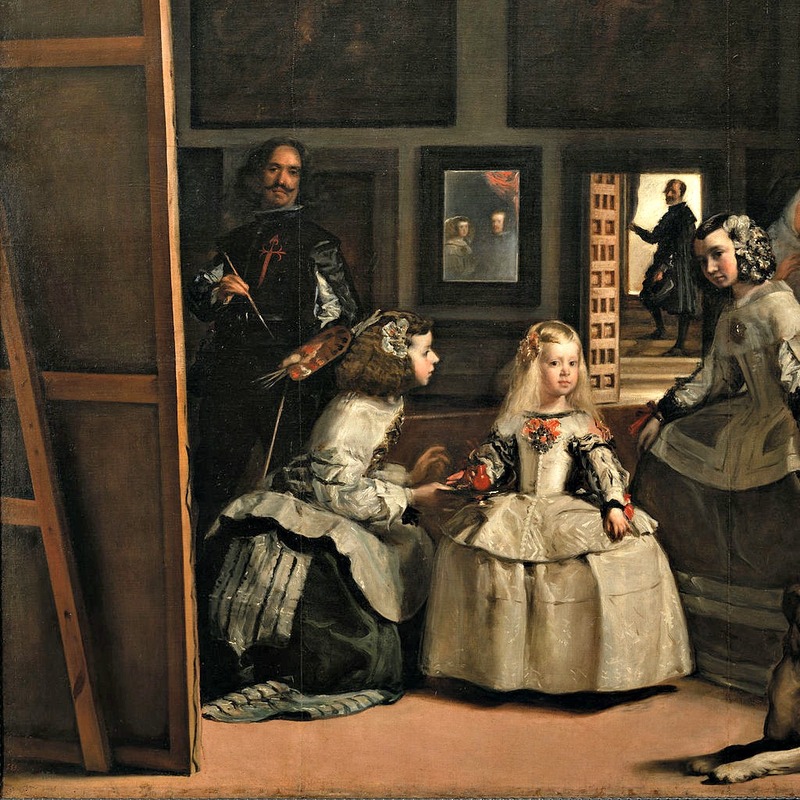 Indeed, the most common phenomenon that has occurred when holding up our mirror to international adventurers is to find our mirror reflected in theirs, and theirs reflected in the lives of people they depict, ad infinitum, in a manner not unlike a Diego Velázquez painting (see above). In my view, this mise en abyme owes to the conviction among (particularly long-term) expats that in venturing so far afield, they have uncovered things about our planet that are worth examining, reporting, and creating something with, be it a memoir of what they’ve experienced (think Jack Scott’s Perking the Pansies: Jack and Liam Move to Turkey, Janet Brown’s Tone Deaf in Bangkok, or Jennifer Eremeeva’s soon-to-be featured Lenin Lives Next Door: Marriage, Martinis, and Mayhem in Moscow), a novel based on their overseas adventures (think Kate Allison’s Libby’s Life or Cinda MacKinnon’s A Place in the World), and/or an art work that springs from what they saw and felt when living in other cultures (eg, Elizabeth Liang’s one-woman show about growing up a TCK). In short, although many of us can relate to Alice’s feeling of having stepped through the looking glass, we also aren’t afraid to hold up a looking glass to that experience. I often think of Janet Brown telling us she almost went home “a gibbering mess” upon discovering that her Thai landlord was spreading salacious rumors about her, but the point is, she survived to tell us about the experience in her gem of a book. Surely, that’s the kind of hero/ine Linda Janssen has in mind for her self-help book The Emotionally Resilient Expat? Ahoy, mateys! Splice the mainbrace. The Displaced Nation has spotted some treasure!! Is there a common theme — or better yet meme — for the expat life? Is The Displaced Nation for expats, travelers — or both?